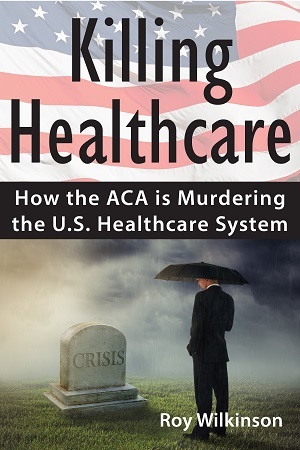 A serious but irreverent look at the U.S. healthcare system and how the Affordable Care Act is murdering the best healthcare system in the world. Healthcare in the United States has been one of the hottest political topics over the last six years. Whether you call it healthcare reform, “Obamacare,” or the Affordable Care Act, all of these terms can be used when researching the status of providing healthcare in the United States. Before relying on pre-conceived notions which may be flawed, one should examine the factors that helped develop our current system that was eight decades in the making! 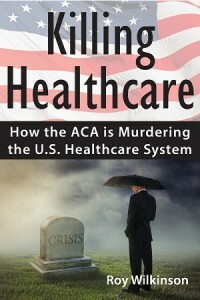 Readers will find a writing style that helps simplify the complex world of healthcare policy and economics. First we should consider the status of the U.S. healthcare system. By definition, a “system” is a group of interacting, interrelated, or interdependent elements forming a complex whole. Not many systems can qualify under that premise more than American healthcare. How are the components interacting? What are the communications? Is there an effective symbiotic relationship? Next, we need to ask whether the system is truly broken. If not broken, is it bowed or merely bent? Some may argue that it was fine the way it was, prior to the Congressional attempt to “fix” it. This book is written to help the reader explore those questions and assist in providing helpful information so you can draw your own conclusion. Many times, if the condition is misdiagnosed, then the proposed treatment is the wrong solution. What if our system of providing healthcare services in this country is, in fact, not broken, but simply needs a tune-up? Did President Obama throw the baby out with the bathwater when he signed into law his bold initiative known as Obamacare? And is the “cure” worse than the disease? 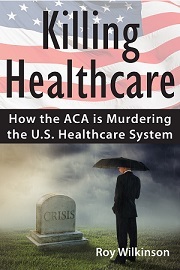 The book examines how the U.S. wound up with our current system, why all the fuss over national healthcare and does the ACA actually help? It compares the U.S. system to nine other countries, reviews the issues at stake and the importance of the upcoming Supreme Court case King v Burwell, and presents a view of the future for U.S. healthcare and what you can expect.